You are what your record says you are. If that quote from Pro Football Hall of Fame coach Bill Parcells rings true for statistics, UNLV’s 2016 defense is still as porous as it’s been for the past eight seasons, when it allowed more than 30 points and 400 yards per game. 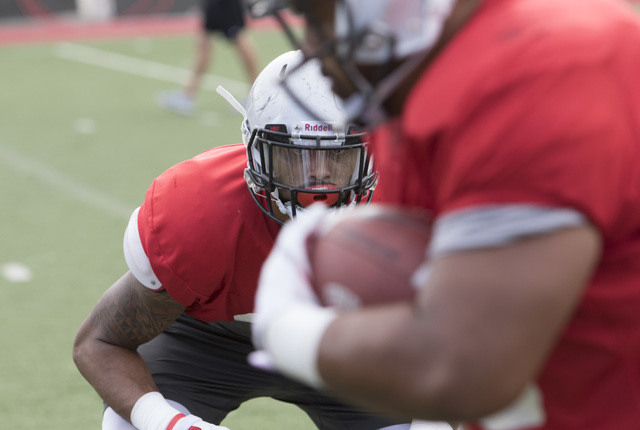 If that quote from Pro Football Hall of Fame coach Bill Parcells rings true for statistics, UNLV’s 2016 defense is still as porous as it’s been for the past eight seasons, when it allowed more than 30 points and 400 yards per game. 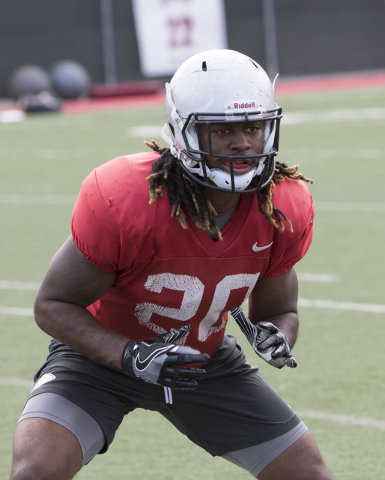 The Rebels (1-2) are giving up an average of 33 points and 417 yards this season, but senior strong safety Troy Hawthorne believes those numbers lie. UNLV will close out its nonconference schedule at 6 p.m. Saturday against Idaho (1-2) at Sam Boyd Stadium, where it will host Fresno State (1-2) in its Oct. 1 league opener. After struggling to wrap up runners in a 63-13 win over Jackson State and a 42-21 loss at UCLA, the Rebels’ secondary unraveled in Saturday’s 44-21 loss at Central Michigan. 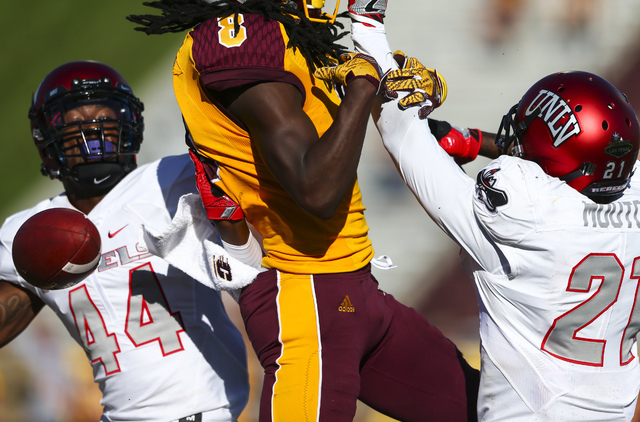 UNLV gave up 499 yards for the second straight game and surrendered six touchdown passes to Chippewas quarterback Cooper Rush, who had no shortage of wide-open receivers. “We tackled well Saturday. We saw a big improvement there. That was good,” Rebels coach Tony Sanchez said. “The biggest thing was we had three different times where wide receivers were running with no one in the vicinity. We had some major breakdowns. 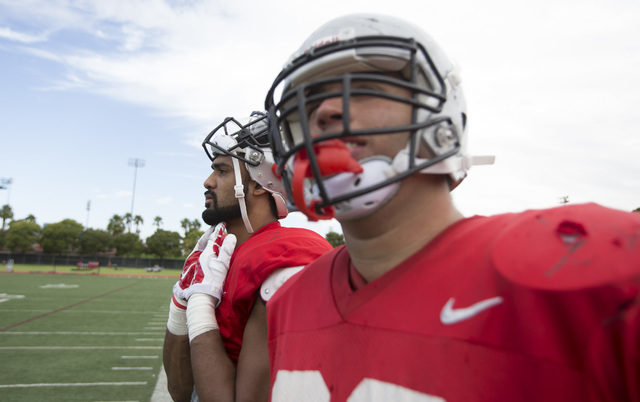 UNLV tried to fix its communication issues Sunday in players-only meetings. Hawthorne — who’s second on the team in tackles (19) and has an interception, two forced fumbles and a fumble recovery — said the defense is starting to become closer. In defense of the defense, the Rebels have faced two consecutive NFL-caliber quarterbacks in Rush and UCLA’s Josh Rosen. However, Hawthorne said the biggest problem has been themselves. 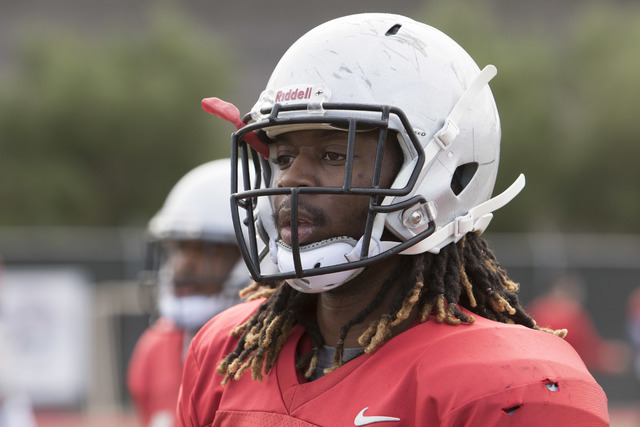 UNLV also was stung by the loss of senior free safety Kenny Keys, who was suspended for the first half at Central Michigan for a targeting penalty incurred at UCLA. Keys was replaced by redshirt freshman Evan Austrie, who dislocated his shoulder and was replaced by sophomore Dalton Baker, who was called for pass interference that set up a Chippewas touchdown. Going back to Parcells’ quote, the numbers say the Rebels’ pass rush is still as anemic as last season, when UNLV finished last in the nation in sacks with nine. 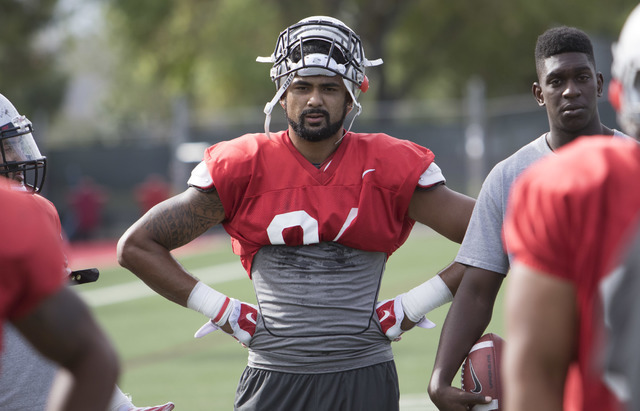 The Rebels didn’t sack Rush and have only two sacks this season. In spite of the stats, coach Tony Sanchez said the pass rush has improved. “You can’t just look at sacks. You’ve got to look at knockdowns and we had nine knockdowns,” he said. “We put (Rush) on the ground quite a bit. He did a really good job of, when the heat was on, delivering the ball and getting rid of it. If UNLV beats Idaho as expected, the record will say the Rebels are a .500 team. 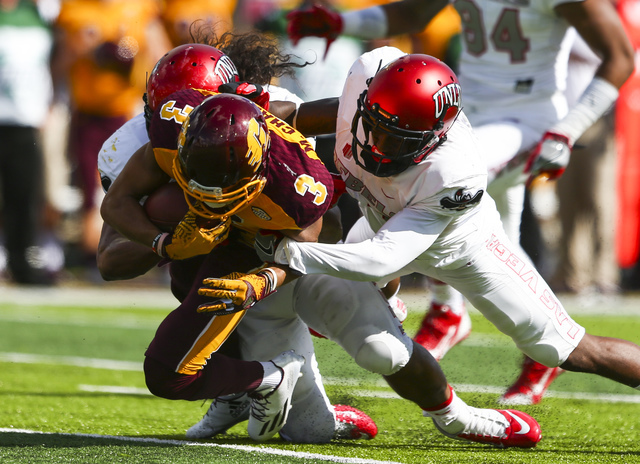 Visit our GameDay page for full coverage of the UNLV-Idaho game.